Blackworks Racing Billet Tow Hooks are designed using the latest and state of the art CAD design programs in the industry. 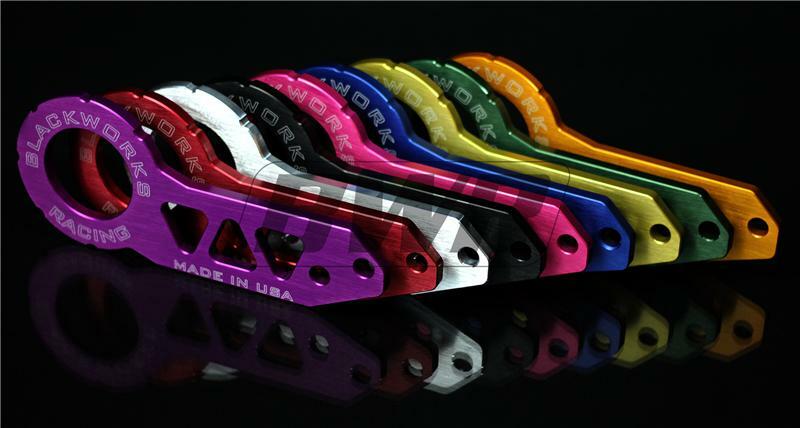 Our Tow hooks are manufactured in the USA and made from high quality AL6061-T6 billet aluminum. Laser engraved logo, also includes laser engraved individual serialized number to guarantee authenticity. Includes necessary hardware for installation.